Upasana Konidela, Vice President of Apollo Chairty & Editor of B Positive, is known for her charity work. She has helped a lot of families and extended a medical aid for them. She also carved a niche for herself with the kind of works she initiated in various forms including health, wellness, blue cross activities and child care. Meanwhile, Upasana took up a new initiative ‘Save India’s Big Cats for which she associated with WWF. Enlightening herself about the program, Upasan along with 12 school girls who are wildlife enthusiasts flew to Rajasthan from Hyderabad. They headed to the Ranthambore National Park, one of the most renowned national parks and tiger reserves, on the 26th of January. 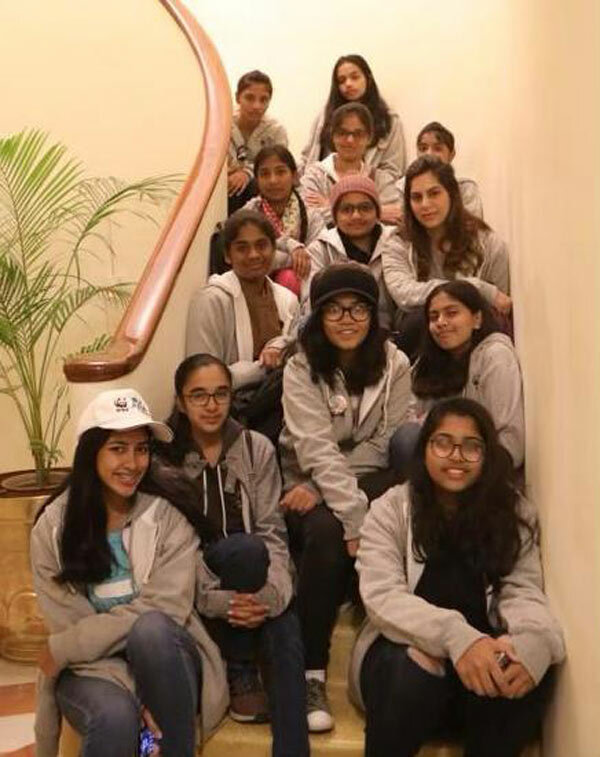 Before commencing their wildlife journey, the school girls were treated with Apollo Foundation generosity at Taj Vivanta. Learning about the conditions surrounding the destruction of tigers and spreading awareness, they look forward to their day at the reserve.